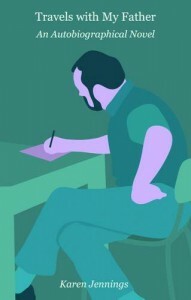 As New York attorney Will Alexander discovers, Kalil Gibran spoke wisely when he said “Doubt is a pain too lonely to know that Faith is his twin brother”. 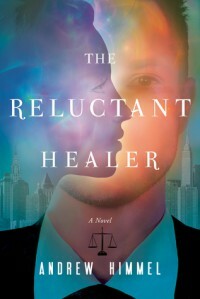 THE RELUCTANT HEALER gently meanders through Will’s growing love for Erica and his struggle with doubt about her unconventional metaphysical beliefs, in general, and about his healing abilities, in particular. After a series of, to Will, inexplicable events, he reaches the point where he takes a leap of faith – he takes a six month leave of absence from his legal firm to explore his healing abilities. The real world intrudes on Will’s inner journey with betrayal and other challenges that inexorably push him onto a new path – a path that, for all his questions and doubt, show Will as a man of faith who has the capacity to bring spiritual, if not physical, healing to others. With touches of humour, an easy-to-read style and well-drawn characters, Himmel weaves thought-provoking questions into the tapestry of a very human man reluctantly experiencing the transcendental powers of an inner awakening. 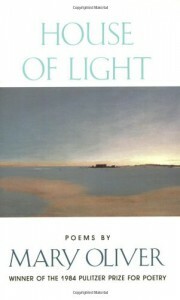 Love is the catalyst that pushes Will Alexander out of his comfort zone, but it’s his own innate capacity for an enquiring faith that allows Will to survive the initiate’s journey and embark on the next phase of his spiritual evolution, strengthened by both his deepened concept of love and his unanswered questions. If you’re a reader who wants a light-hearted book to escape your questions, this is not the book for you. If you’re willing to look beyond the ordinary concepts of faith and healing, there is much in THE RELUCTANT HEALER to engage both your reason and your emotion. 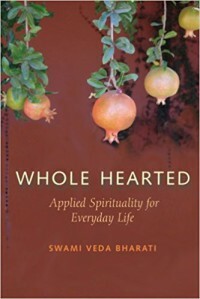 Despite the medical tone, this book is accessible to the layman interested in improving digestive health. 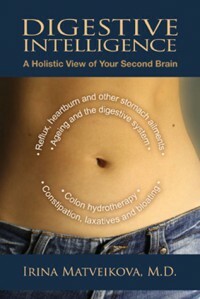 Offering good advice and excellent insight into the workings of the gut, this is worth the read. Quite fascinating to realise how much a toxic digestive system impacts the whole body. 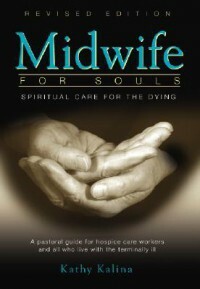 A gently written book with some good advice for caring for the terminally ill. Unfortunately, the strong Christian religious dogma was to the detriment of the overall good that this book could offer caregivers. I came across my old copies of John D MacDonald's laconic McGee when clearing out a dusty old box. First published in 1964 (53 years ago!) Travis McGee's third adventure is still rollicking good fun. 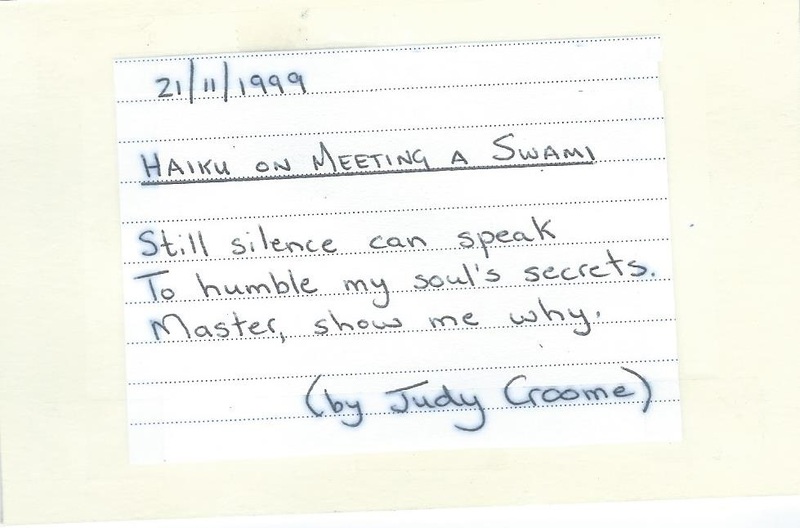 Excellent writing that has stood the test of time - comments like "remorse is the ultimate in self-abuse" and "education is something which should be apart from the necessities of earning a living ... it needs contemplation, fallow periods, the measured and guided study of the history of man's reiteration of the most agonsing question of all: Why?" never age; they are as applicable today as they were when I first read McGee's adventures in the early 70's. To enjoy the stories in the second decade of the 21st century a reader has to put aside the gender and racial politics of the day. McGee is the Hero who saves the little woman, and does a damn fine job of it too! Great plotting, fast pace, interesting characters and a maverick hero. What more can one ask when whiling away a lazy afternoon? 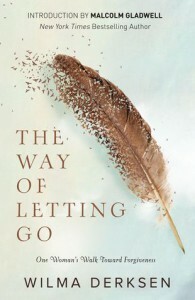 I bought this book because exploring what forgiveness means is a passion of mine. I'm left ambivalent - relating my trauma to her trauma seems petty, but a trauma that requires the sheer hard work of learning to forgive on a soul level takes many shapes & sizes. I have to admire Derksen's commitment to this long (never ending) journey towards forgiveness - quite an amazing inspirational feat to take the terrible darkness that came into her life and turn it into a beacon of hope for others. To give (or at least find) meaning in a cruel meaningless act must take incredible courage & inner strength (& yes, a deep faith.) Derksen gives an excellent account of the process that forgiveness is but, as a Mennonite, her approach to forgiveness is strictly based on the Christian faith and that puts two strikes against the book (1) the odd and somewhat jarring interspersion of excerpts from the Bible too often came across as preaching and (2) forgiveness as a path to healing the brokenness within us is a human need - not just a Christian need. What about all the broken people of other faiths who may need to forgive? Is it only Christians who can find peace & redeem their lives through forgiveness? I would've liked to see Derksen explore what forgiveness means on a broader scale, rather than just from a narrow Christian perspective. Her trauma also comes across as intellectualised rather then allowing the reader to feel the depths of her emotional pain as Ralph Bulger did in "My James: The Heartrending Story of James Bulger by His Father, which was a howl of raw emotion from the first page to the last. 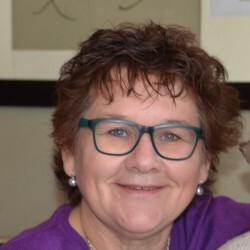 But then Wilma Derksen has managed to do what the Bulger family are apparently struggling to do - her struggle toward forgiveness has given her daughter Candace's terrible death meaning & purpose while keeping her family and marriage together during the decades that have passed since her daughter's awful murder. That's a fantastic achievement and Derksen's struggle not to let hate & unforgiveness drag her down into the darkness is hugely admirable. The book is definitely worth the read (& I'll be re-reading it at some later stage) - a complex abstract concept (to forgive) is made simple and presented in an easy to read style. As always, Rose Tremain's characters have a way of sneaking up on you as you read. The gentle meandering through intersecting lives overshadows the slow moving story because, really, it's ofetn not the story that makes Tremain's writing addictive, but the depth and complexity of her characters. THE SWIMMING POOL SEASON is filled with very human characters - Larry & Miriam, Gervaise & Klaus, Nadia, Xavier and many more, are the story -their strengths, their fears, their hopes and their losses, their (at times hopeless) search for love, were what kept me reading. Takes patience and time to let the author unravel the complex threads of the stories within stories. These could have perhaps been unravelled a bit quicker as I found the pace slow. 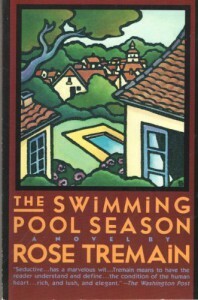 Not as enjoyable as The Colour or Music & Silence, both of which are magnificent works by Rose Tremain. 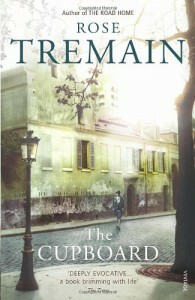 Her writing is as great as ever though - the characters very real and Tremain captured the rambling quality of an 87 year old woman's conversation very well. Starting off the year with an easy read (actually a re-read!). Heyer never disappoints. 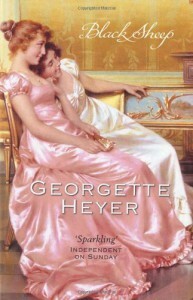 While BLACK SHEEP is not one of my top 5 Georgette Heyer regencies, it's a delightful romp packed with very human characters playing out their lives in Heyer's usual exquisitly crafted setting of Regency England. Because this isn't one of my top favourites, I haven't re-read it so often and found little details that I'd forgotten or missed in previous reads. Abigail is a strong but compassionate heroine and, as Miles himself says, everyone loves a rake, & I'm no exception so Miles is a perfect match for Abby! Well written, but so depressing. Other than a mild empathy for Barrett, I can't relate to any of the characters. The book has had some good moments, but I'm abandoning it at 32% read (kindle). Life's too short for me to read books I'm not enjoying. 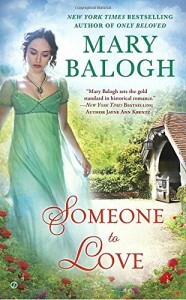 For readers who can connect with the lives and personalities of the main characters, I'm sure this will be a good read. Well-written enough to keep me reading until 01h30 in the morning so I could finish it. I guessed early on what had really happened, so perhaps that influenced my feeling of the end being not as good as the beginning and middle of the book. Sheila, the narrator, and her half-brother Art were somewhat unknowable - Mike, the other sibling, was the most accessible character. The interplay of the family relationships was well-portrayed, and the child abuse scandal of the Catholic Church in the 90's sensitively handled. Overall, I enjoyed the story. Poignant and lyrical, TRAVELS WITH MY FATHER takes the reader on a meandering journey through past and present. 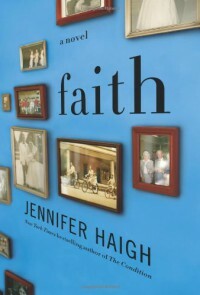 I'm not overly fond of memoirs - usually finding them dry, dusty and too factual - but, through the lens of coming to terms with her grief at her father's dying, Jennings has woven a masterful record of life to which everyone can relate. Whether describing the small and personal details of her life (the "desperately ugly" ashtray she thought belonged to her grandfather) or minor details of her travels (the visit to a museum in India, filled with mouldy, stuffed animals - "a bat has fallen off its perch and has been put back so that it stands on its feet"), Jennings's writing is vivid and vibrant. It is also searingly, at times painfully, honest ("The Jenningses do not speak of things that are unpleasant or relate to emotion in any way"). She often mentions her struggle with depression; her disappointment in the smallness of her father's life as he got older. As one reads, her words wrench emotion from one - too often, this is deeply coloured with melancholy and a quiet despair. At one point, her father said to her "Oh, girl, why do you have make things so difficult?" There is no linear pattern to the stories and anecdotes filling the book. 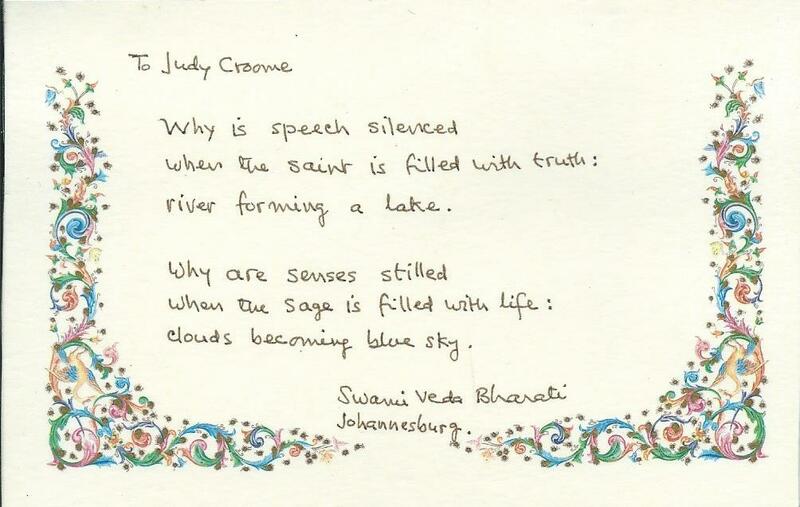 The reader is effortlessly carried along a stream-of-consciousness exploration of a period in the author's life starting with her father's death and ending with the scattering of some of his ashes in Kirstenbosch Botanical Gardens. (A delightful scene near the end of the book, which reflects the end of mourning and the beginning of a new phase in her life). This adds to the sense of being personally, intimately involved in this journey of a daughter working through her grief at the loss of her very human, but much loved, father. There are no order to our memories, and TRAVELS WITH MY FATHER reflects that in its seemingly rambling (but exquisitely crafted) style. 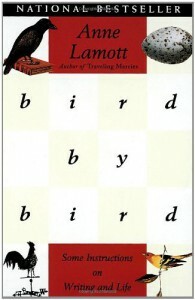 Whether it's a lesson on the history of the places she visits on her travels triggering a memory of her childhood, or the discovery of a new notebook of her father's triggering memories of her family history, or her new lover's bow legs reminding her of her father, Jennings's masterful control of her subject and her dramatic use of words creates a compulsive need to continue reading. Despite the ending, at that point when Jennings finds in her father's notes a reassurance of the very ordinariness of life that ties together all the threads of an ancestral line stretching both backwards into the past and forwards into the future to a time when she, too, will grow old and die - her acceptance of the cycle of life, in a way - when I finished reading, a darkness persisted, leaving me unsettled and edgy all day. In a way, my lingering sadness is a tribute to the high quality of Jennings's skill as a writer, but my more optimistic personality prefers to leave a book filled with a brighter sense of hope. Nearly 200 pages of predominantly prose, with little dialogue and white space, and yet, I could hardly put the book down. 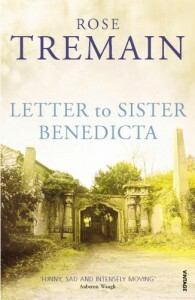 Different to the other Rose Tremain's I've read & loved (particularly The Colour and Music & Silence), the Letters to Sister Benedicta trace the inner rambles of Ruby's fracturing self after a traumatic year bringing her safe, ordinary and quietly unhappy life tumbling down. That destruction ultimately frees Ruby to begin a journey of self-discovery. We don't get to see that journey, only the events leading up to Ruby's first tentative steps outside the cocoon of her previous life in which she was smothered by personalties far less sensitive and far more selfish than she. Her parents, mean & miserable with their fading memories of previous glory; her urine soaked grandmother in the crumbling manor house; her domineering & unfaithful husband; her ghastly mother in law- an eternal victim; her morally bankrupt children; her weak English lover, supplanted in his wife's affections by a swarthy skinned & passionate foreigner and the ominously silent Sister Benedicta all play their part in deepening the confusion Ruby experiences around who she is and what kind of life she's capable of living. On the surface, this is a novel of hope, but there's an oppressive thread of melancholy interwoven in this story. Ruby, too, is so passive, so very smothered by her lack of self-love and her desire to please/help everyone but herself that even the beginning of her Great Adventure at the end of the book leaves one with a niggling doubt that, here too, she fell into that path rather than actively choosing it for herself. 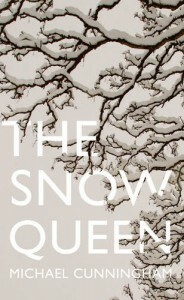 This short but complex story has excellent characterisations and provokes deep thinking - Ruby, in her self-destructive passivity, having been so cowed & diminished by the "soldiers" in her life, is the perfect analogy for the countries colonised under Queen Victoria's push towards the Great British Empire: India, in particular, as India is where Ruby & her parents lived, but also Zimbabwe & South Africa, all left with a low self-esteem about their abilities, their true natures and their warm vibrant passions so unlike the cold superiority of the colonising western empire. In Ruby's ambivalence about Leon's dying - her almost unrecognised longing for freedom, buried in her Pavlovian responses of sacrificing her identity & her needs to serve her dying husband, and in her first tentative steps towards an independent self-hood free of the smothering rules and demands so alien to her true nature, I see an echo of the path previously colonised countries had to walk when the conquering soldiers finally left. Another gem from Rose Tremain, even if its depths are not immediately clear in the quiet ordinariness of Ruby's sad existence. "Leon had such a sure sense of his own identity and was so absolutely purposeful in all that he did, that within a very short time I had put away most of myself"
"Godmother Louise being “a good Marxist” and found it rather strange. I think I decided that she was only a good Marxist deep down in her soul and that she let the rest of herself be rather a bad Marxist. And the bad Marxist in her kept on and on going to five-star hotel rooms where enormous bouquets arrived “courtesy of the management” and where she sipped away, guiltless, at the finest champagne a bourgeois capitalist society can produce. At least she had been right about India. Her loathing for the idea of empire had been as strong as Queen Victoria’s love of it. She despised my parents for their snobbishness and their loveless ways. It was a kind of sickness, she said, their terrible pride and reserve, and I must be cured of it. I must forget the school for the daughters of the high-ranking officers, no longer think of myself as a daughter of a high-ranking officer, or even as a Catholic, because these were the masks to hide behind and until I threw them away, these masks, threw them away and never put them on again, I wouldn’t know myself. “This is why so many of us are lost, Ruby,” she said, “this is why your mother and father are so lost: they are crouching down behind their masks; they believe they are their masks and without them they will be nothing!”"
"No one in India seemed to have a feeling for helpfulness, only a feeling for what is right, and it took me a long time to see that almost everything they thought was right was actually not all that right, but in fact rather wrong. And this deficiency in helpfulness, I mean, I’ve had it all my life and I blame India, but who can say if it was India or if it wasn’t born in me..."